Creating Bespoke Digital Solutions For Unique Business Results in the Travel, Tourism & Health industries. We will look at your current strategy and explain how you can improve what you are currently doing and the improvements you should see in a language you understand. We do not use technical jargon to look smarter and we don’t make promises or guarantees. We simply advise you based on our experience, allowing you to make the right choices for your business. No business is the same, so no digital strategy should be the same. We work with you to create the best digital strategy for your individual business help you to implement that strategy if required. Whether you want to be involved in the process or leave everything to us, if your business is a good fit for our team we can work with you to create and implement your own bespoke digital business strategy. We have built relationships with some of the best providers in online reputation management, data measurement & visualisation, branding, PR, media promotion and much more to bring you a comprehensive, multi channel marketing strategy to skyrocket the ROI of your online marketing campaigns and boost your bottom line with immediate effects. PDS Consulting is an extremely competent digtal agency – their approach is always highly professional and totally results-focused. Working with just a basic idea and little guidance, the team’s vision and creativity delivered a product that was everything I wished for – and more! Since our consulting sessions with PDS, we’ve carried out a lot of the SEO actions they raised and have now really seen stellar improvements. We are now number 1 in the world for our focus key terms and rising along the rankings for many others with organic visits of over 700,000 per month. Since PDS Consulting took control of our Adwords and then our SEO we have seen an increase in enquiries and a decrease in our Adwords costs. Not only has the cost benefit been very obvious but the quality of enquiries has got better and better. Since they started work on our SEO we now have a high 1st page position in one of the most competitive areas for advertising for our business sector and the increase in organic enquiries has been remarkable in such a short space of time. We had tried other companies before talking with PDS and from our experience we would not hesitate to recommend them to others as they have made such a huge difference to our business. LAWI Group contracted PDS Consulting Solutions to manage our Digital Marketing Services including Web Design & Development, SEO Optimization, SEM/Google Adwords, Social Media & Online Reputation Management for all of the companies within our group. During the time we have worked together, Gemma has lead a number of digital projects for us which include taking a new project from concept to being the most successful online ground transportation broker in Australia, securing first page rankings for one of our more challenging projects (which no other consultant or company has been able to do in the last 9 years), increasing the ROI of our Adwords campaigns by an average of 40%, managing the CMS migration of 10+ websites and successfully sourcing a new suitable booking platform to replace our failing existing platform. The team are professional, committed and extremely knowledgable in their fields of expertise. My name is Jacqui Wilson and I have a company organising Medical tourism. I was very fortunate to be introduced to PDS Consulting by a mutual work associate and I can honestly say it has been life changing. I can not say enough about this talented group of individuals. No problem is to big for them. Previously I had been using a company from New Zealand who charged me double what PDS does and produced next to nil results. By moving all my marketing to PDS our enquiries have increased ten fold. We are also looking at taking on another staff member and our costs for marketing are much less. Since our consulting sessions with PDS, we’ve carried out a lot of the SEO actions they raised and have now really seen stellar improvements. We are now number 1 in the world for our focus key terms and rising along the rankings for many others. LAWI Group contracted PDS Consulting Solutions as an independent consulting firm managing our Digital Business Strategy including Web Design & Development, SEO Optimization, SEM/Google Adwords, Social Media & Online Reputation Management for all of the companies within our group. During the time we have worked together, PDS has lead a number of digital projects for us which include taking a new project from concept to being the most successful online ground transportation broker in Australia, securing first page rankings for one of our more challenging projects (which no other consultant or company has been able to do in the last 9 years), increasing the ROI of our Adwords campaigns by an average of 40%, managing the CMS migration of 10+ websites and successfully sourcing a new suitable booking platform to replace our failing existing platform. The online marketing industry is full of big promises but consultants who are committed to overcoming a series of challenges and actually delivering on those promises are not easy to find. 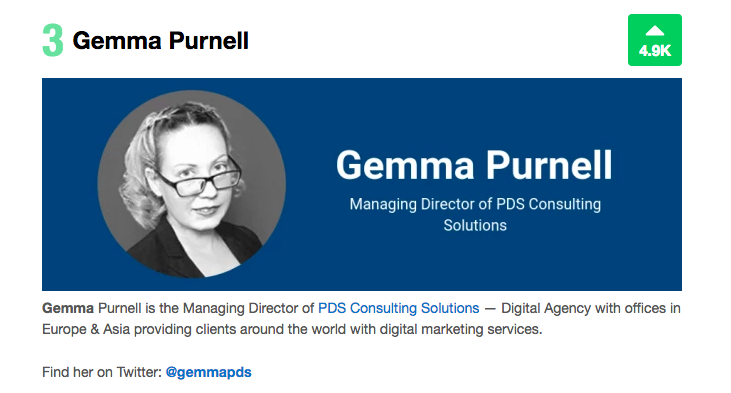 I would have no reservations in recommending PDS Consulting as a Digital Marketing Partner for any company.